Great for a group of girlfriends to get together and make something they can all treasure. 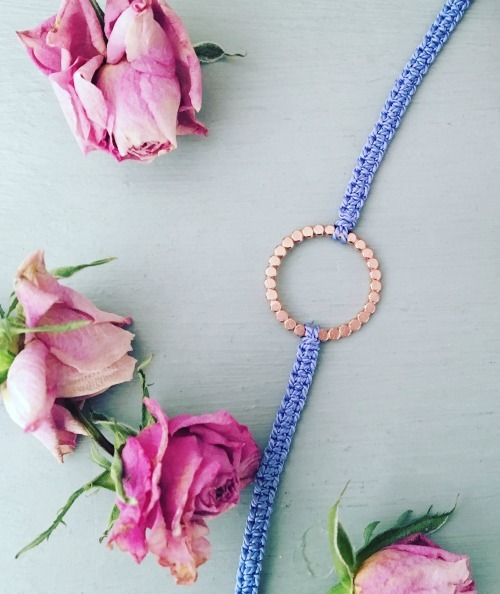 In this workshop you will thread your own silk bracelet out of a choice of colours, and choose from a selection of simple silver charms which you can texturise to make it your own. After you have purchased a workshop you will receive an email to confirm your place, which will include details about the workshop, directions to the venue and any other information you will need. Please state in “notes” during checkout if a workshop is purchased as a gift with that persons name, we will then send a ‘Voucher’ including all the details about the workshop. Please sign up to our newsletter for your 20% DISCOUNT CODE on all first purchases of workshops and jewellery from our collections.